Minimalist on Purpose is about focusing and simplifying life to discover our life purpose and affect lasting impact. Most of the time, it showcases minimalism as a tool in achieving such purpose. 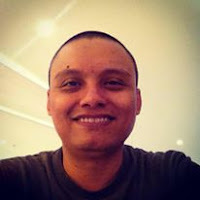 My name is Raymund Tamayo, and I'm a writer and a minimalist. Welcome to my blog. I'm also a husband to my wife, Denielle, and a father to our two wonderful kids, Ryah and Rafa. As far as I can remember, I’ve always been writing. I've loved writing even before I called myself a writer. I was born this way… it’s in my blood, my heart, and my soul. I wrote my very first essay when I was nine, and wrote the first of hundreds of poems when I was fourteen. I’ve been a school paper writer and editor since grade school up until college. I've been editor-in-chief of various corporate newsletters. I’m so happy to discover blogging as a medium to share my insights with the world. I’m always asked what this minimalism-thing is all about. In general, I define minimalism as about eliminating the unnecessary things to focus on the necessary. Because I believe that the best things in life aren’t things. We are not defined by our stuff and that we are born to contribute and not just take up space. Because I want to live a life of lasting impact, a life of purpose. And I’ve come to discover that for me, minimalism is really a spiritual journey. My day job is sports writing for different websites. You can see my articles here. I post here new insights a few times a month. You can subscribe by entering your email address below. I would love to get to know you and be your friend. Send a message to raymundtamayo [at] gmail [dot] com.